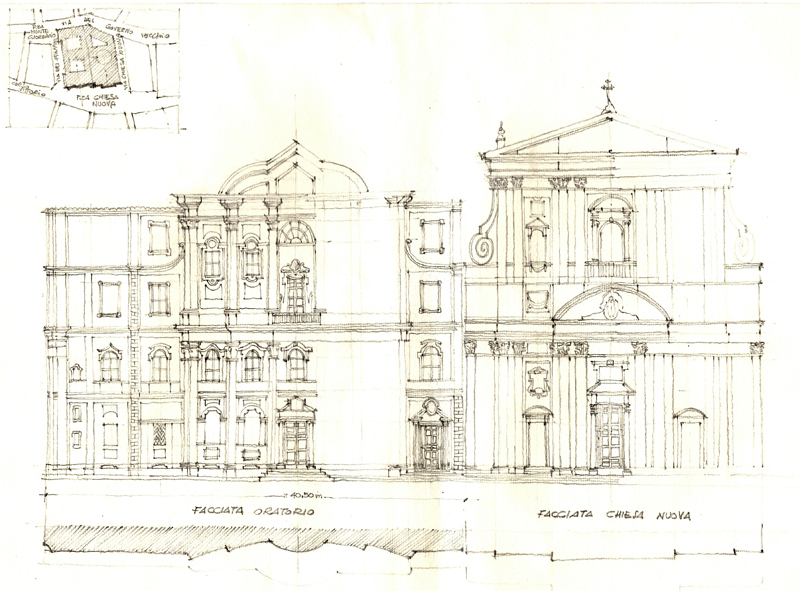 This measured drawing of the facades of the Oratorio dei Filippini (Oratory of Saint Phillip Neri) and the Chiesa Nuova (Santa Maria in Vallicella) in Rome was beautifully crafted by hand by Professor Emanuela Chiavoni of the Università Sapienza di Roma, who I met at the UID conference in Matera last year. Designed by Francesco Borromini and erected between 1637 and 1650, the Oratorio achieves a measure of strength and elegance not through decorative features but rather by careful proportioning and the use of opposing geometries, particularly of the interplay between the convex and the concave. Professor Chiavoni executed this drawing as part of her Ph.D thesis and graciously presented it to me as a gift. The drawing shows the use of orthographic projection to objectively describe the formal and proportional relationships between the parts and the whole of a design. 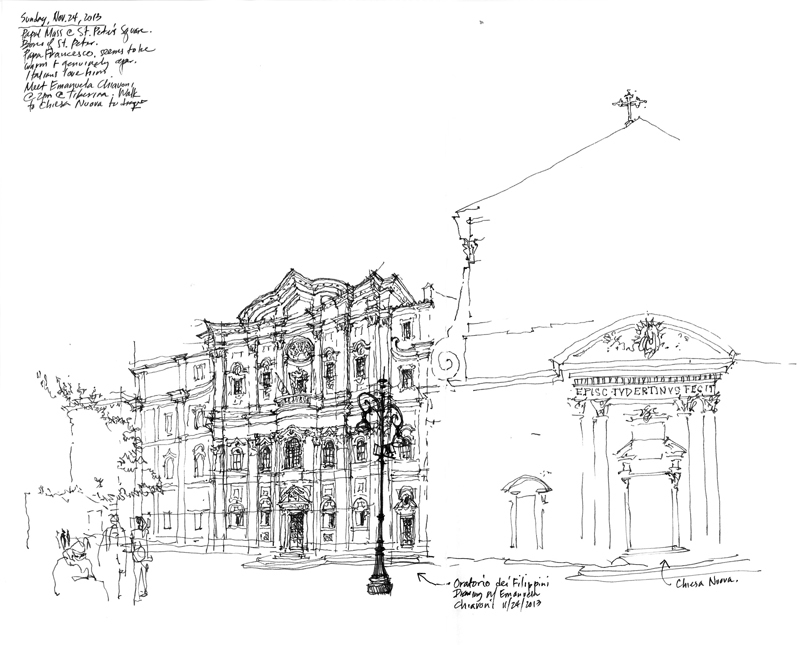 Below is my drawing of the same facades that I had done while Professor Chiavoni accompanied me for an afternoon of sketching in Rome. These two drawings show the difference between the objective and perceptual descriptions of the same subject.